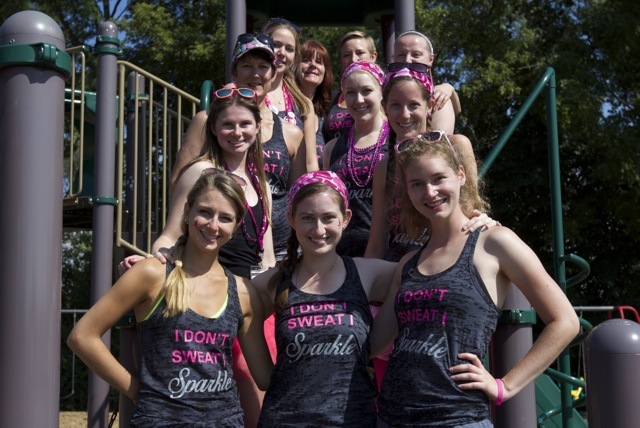 The Susan G. Komen Michigan 3-Day team Sparkles of Hope are hard to miss. Their dazzling enthusiasm and energy are enough to capture the attention of their fellow Michigan 3-Day participants, to say nothing of their glittery team couture. This is a group of ladies who literally cover each other (and any bystander who wants to get in on the action, including this blogger) with glitter spray before walking, but even without the artificial body bling, they bring an inspiring light of their own to the Komen 3-Day. 2014 Michigan team Sparkles of Hope. They don’t sweat, they SPARKLE! I spoke with team captain Lindsey L., a native of the Detroit metro area who, at just 24 years old is already a 5-time veteran of the 3-Day®. 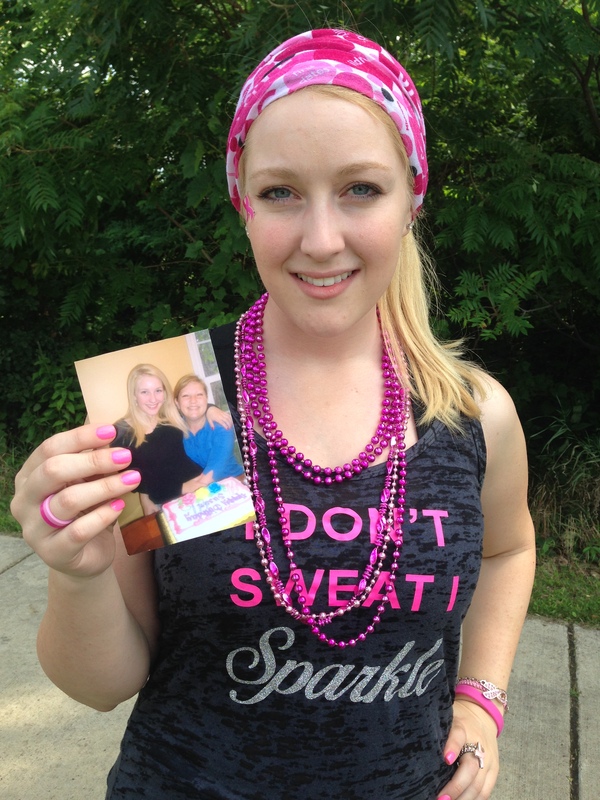 Lindsey first decided to walk in 2009 when her mom Loretta (now affectionately known as “Mama Sparkle”) was diagnosed with breast cancer at the age of 47. Lindsey was in her freshman year at Michigan State, and she shared how difficult it was to be away from her mom while she underwent treatment. 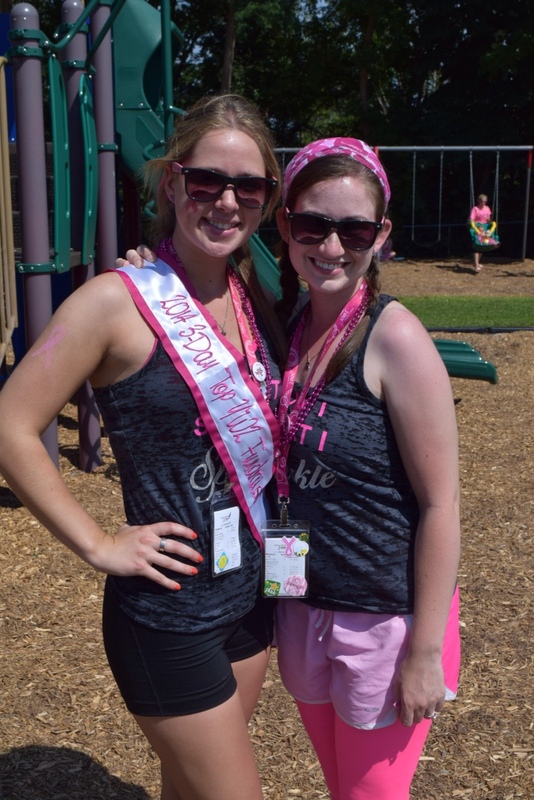 Never one to let a feeling of helplessness take over, Lindsey registered for the Michigan 3-Day and formed the first Sparkles of Hope team with half a dozen supportive friends. She met her fundraising minimum early (“You just have to ask everybody.”), and surprised her mom in the hospital, telling her that she had started a 3-Day team and would be walking in her honor that summer. “I think she was shocked that I did all that work!” Lindsey says with a laugh. ← Congratulations to Bert S., the Michigan 3-Day’s Milestone Award Winner!